As fall drifts in and winter is near, I find that I crave coffee more and more. Although, I do love Starbucks and their multitude of delightful java drinks, I have tried to minimize my consumption ever since reading The Food Babe’s investigation into the quality of their food & coffee. It also proves to be quite a money saver when I make it at home, although I’m not an every-day coffee drinker. Which brings me to this post. Sometimes it’s not the coffee that’s bad, it’s what we add to the coffee. 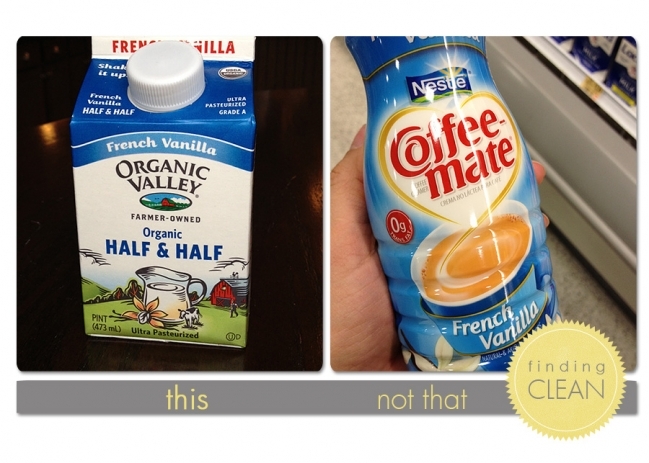 Enter Coffee-mate…..yum, right? I have used it MANY times and it used to be a staple in my fridge for the occasional cup of coffee. Not anymore. Especially when there are great organic options available (even at Publix). INGREDIENTS: WATER, SUGAR, PARTIALLY HYDROGENATED SOYBEAN AND/OR COTTONSEED OIL, AND LESS THAN 2% OF SODIUM CASEINATE (A MILK DERIVATIVE)**, DIPOTASSIUM PHOSPHATE, DISODIUM PHOSPHATE, MONO- AND DIGLYCERIDES, NATURAL AND ARTIFICIAL FLAVORS, CELLULOSE GEL, CELLULOSE GUM, COLOR ADDED, CARRAGEENAN. Honestly, could you imagine adding all of this stuff to your cup of coffee one-at-a-time in the morning? Hmmm, I think I’ll add a spoonful of cottonseed oil, and maybe a sprinkle of color, oh, and don’t forget the diglycerides (food additives used to keep oil and water from separating, also just a fancy way of listing additional refined oils that can be made synthetically or from animal or vegetable products). Seriously? I think I would rather have the extra 1.5 grams of fat in my coffee from real milk & cream, than this toxic, overprocessed, pretend-food. 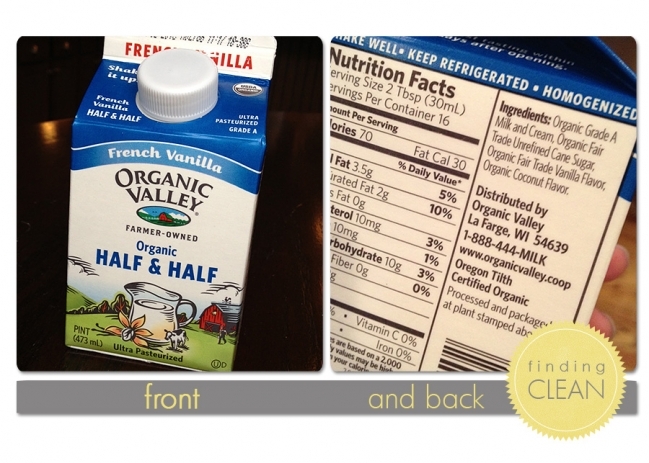 Click here for Paleo creamer. Click here for Pumpkin Spice, French Vanilla, Peppermint, and more!